Is IELTS Exam Results Subject to Expiration? - Gateway to Canada | Canada Immigration Consultancy! 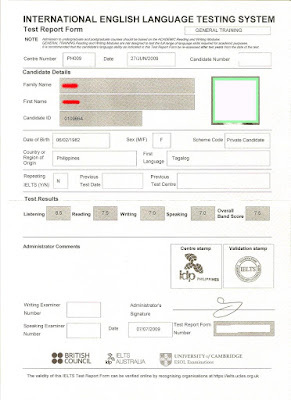 Is IELTS Exam Results Subject to Expiration? IELTS Exam Results, per se, is not subject to expiration. So to answer the question, Is IELTS Exam Results Subject to Expiration?, that depends on where you will use the IELTS Exam Results and which institution requires it. Here's what the British Council has to say about the IELTS Exam Results or the Test Report Form. No. The Test Report Form only shows the date when the test was taken. The institution requiring IELTS has the right to set up a period of time in which the results may be accepted. There is a general rule which recommends that any proficiency test should be accepted during two years of having passed the exam. If you are submitting the IELTS Exam Results to Canadian Visa Office for your Federal Skilled Worker program immigrant visa application, you can use language test results for one year from the time you took the test according to the Citizenship and Immigration Canada website.